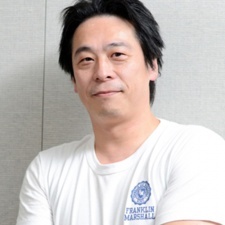 Fan favourite Square Enix developer Hajime Tabata has left the Japanese publishing giant. This was announced as part of a livestream that appeared to be talking about upcoming Final Fantasy XV DLC, billed as a 'Special Program'. The broadcast did cover this topic, in so much as Square Enix announcing that it was axing said further content as Tabata leaves the company. The Final Fantasy XV director's departure comes as a surprise, particularly as Square just put him at the helm of a brand new studio called Luminous Productions earlier this year. Back then, this studio was, um, "breaking free of existing boundaries and conventions of the gaming industry". In a notice of extraordinary loss, Square says that it was conducted a review of Luminous and said that it has "decided to focus the Subsidiary’s development efforts on large-scale, high-quality triple-A game titles, which best leverages the Subsidiary’s [Luminous] strengths"
We call this the 'Disney Star Wars approach to dealing with creatives'. The extraordinary loss comes from the $32.8m (¥3,733m) that Square Enix had already spent on production at the new studio. "In regards to my next endeavours and near future, I have a project that I truly wish to solidify as my next challenge after Final Fantasy 15," Tabata said during the aforementioned livestream.